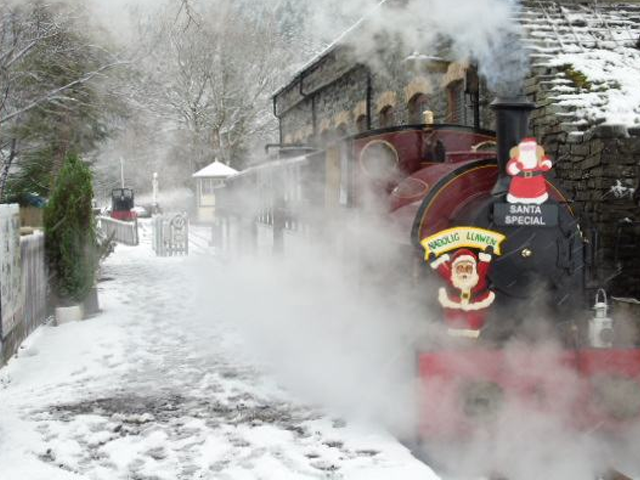 As has been previously reported the record breaking Santa Train operations on the Corris Railway in December last year were marred by a mechanical failure which put the Corris Ralway’s “Tattoo” steam locomotive No. 7 out of action. The valve gear failure occurred when the locomotive was climbing from Maespoeth Junction to Corris with empty coaching stock, and was on the driver’s side of the engine. Once the Santa weekend was over (trains were worked by diesel No. 11 after No. 7 failed) a damage assessment showed that greater engineering capacity than that available in the Maespoeth Junction workshops would be necessary to carry out the repairs. The initial fault which caused the failure was traced to a lubrication problem. Contact was made with the Vale of Rheidol at Aberystwyth and over the first three months of 2019 the V of R engineers worked with the Corris team who normally look after and maintain No. 7 so that it would be ready to work a David Williams photo charter and a “Your Railway for the Day” experience ahead of the Easter Weekend services which were the Corris’ first passenger operations of 2019. The target was reached and the “Tattoo” passed its fitness to run tests with less than 24 hours to go. Corris Chairman Richard Foyn commented “We approached the Vale of Rheidol and fortunately their Management was highly supportive. We have really appreciated the help and advice that they have given us notwithstanding their busy winter schedule which this year has been affected by the work to completely remodel their Aberystwyth Station. Llyr and his team, together with our own workers led by Trefor Davies have done a tremendous job to make sure we have not had to disappoint our customers. 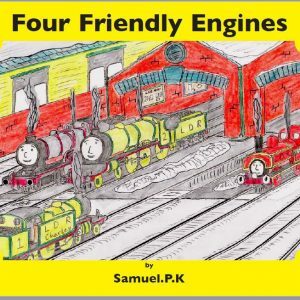 This has not been a cheap project and we will have to look to our resources but a working steam engine, or two as we are working towards having, is a key part of what we offer to bring in fares and other revenue”. No. 7 will also feature with the Corris’ diesel and battery electric locomotives on this year’s Gala Day, Sunday May 26th. 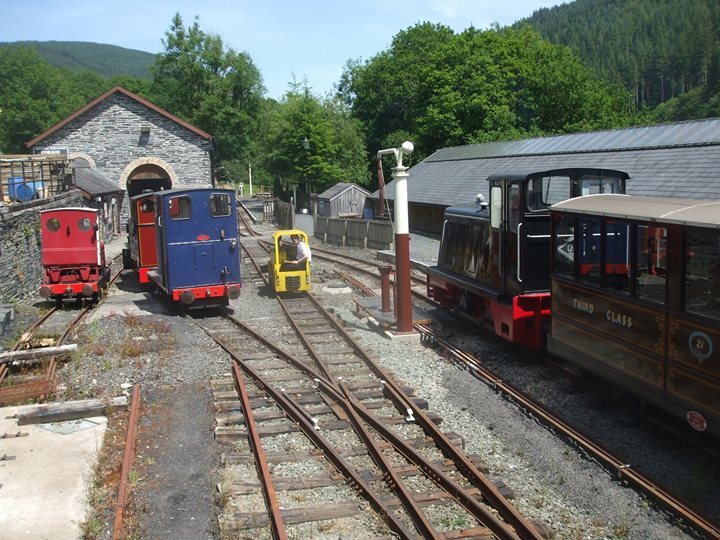 The Corris has also acquired an area of land behind the building which now houses the Railway’s Museum and Shop. This will not feature in the track laying which is a future stage in the development of the station at Corris but ideas for its use are being discussed, including a possible increase in available car parking. The existing car park area is shared by the Railway and the village. The area of land acquired was the site of the original Corris stables, dating back to the line’s origins as the horse and gravity worked Corris, Machynlleth and River Dovey Tramroad. Timber has been purchased to allow the construction of new frames for one of the metal-bodied waggons in the heritage freight set, the previous set of frames having succumbed to fungus infection. In mid-February this had been marked out and cutting of joints had begun. Work on new-build carriage number 23 continues with parts being constructed by volunteers with woodworking skills in their home workshops and being brought together in carriage building weekends at Maespoeth Junction. The most recent work was the fitting of seating supports in one saloon area (in line with the original Corris carriages the new-builds have longitudinal rather than transverse seating). Welding work on the metal carcase of carriage number 24 has reached the clerestory roof. The first train operations in the Dulas Valley this year will be a David Williams photo charter and a “Your Railway for the Day” booking. Timetabled passenger trains begin with diesel trains scheduled on Good Friday and steam on Easter Saturday, Sunday and Monday. There will be a children’s Easter Egg Trail for younger visitors to follow on Easter Sunday and Monday. The Corris will once again run a special train as part of the Machynlleth Comedy Festival taking the audience to a gig in the carriage shed at Maespoeth Junction during the first Bank Holiday Weekend in May whilst the second Bank Holiday Sunday in the fifth month will be the annual Gala Day. The Corris Railway completed its 2018 operating season with its best ever, in terms of numbers of passengers carried, Santa Trains operation. Over the two days December 8th and 9th 308 visitors enjoyed their train journey along the Dulas Valley and visit to Santa in the carriage shed grotto at Maespoeth Junction. Unfortunately the Corris’ steam locomotive Number 7 failed with a valve gear problem on the Saturday and its place was taken by diesel Number 11. Progress on the CR’s new steam locomotive, “Falcon” Number 10, continues at the workshops of Alan Keef Ltd at Ross-on-Wye. Following the plan to employ the remaining original cab components from Corris Number 3 as patterns for the construction of the cab for the new engine this process was indirectly taken forward with the delivery of driving wheel axlebox springs to Keef’s as once these are fitted final calculations as to the height of the cab can be made. 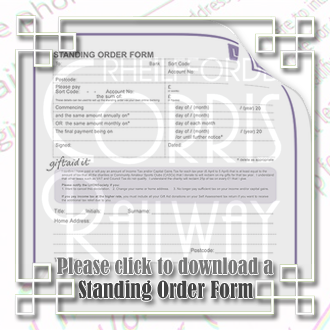 More standing payment orders to help progress with Number 10 have been taken out (details regarding standing orders can be obtained from Peter Guest peterg@corris.co.uk). As part of the improvements to the Museum at Corris station new display cabinets are being constructed by a volunteer and as regards the building of the new Corris station it is hoped that the existing wall between the station and adjacent footpath will be removed in the Spring and replaced by fencing. Stone from the wall will be used elsewhere on the Railway. The new point required for the new track layout at the station will be ordered and designs are being considered for the traverser which will allow locomotives to run round their trains after arrival at Corris. On the carriage building front interior fitting out of Number 23 continues with progress on vestibule panels and seating plus the fitting of the wheelchair access door. Four bogies, two for 23 and the other pair for clerestory Number 24, whose internal skeleton is nearly complete, are being worked on. Covered accommodation for the Railway’s waggons, including those used for the demonstration gravity train runs on the first Sundays of each month and during Gala events, is in hand at Maespoeth Junction. 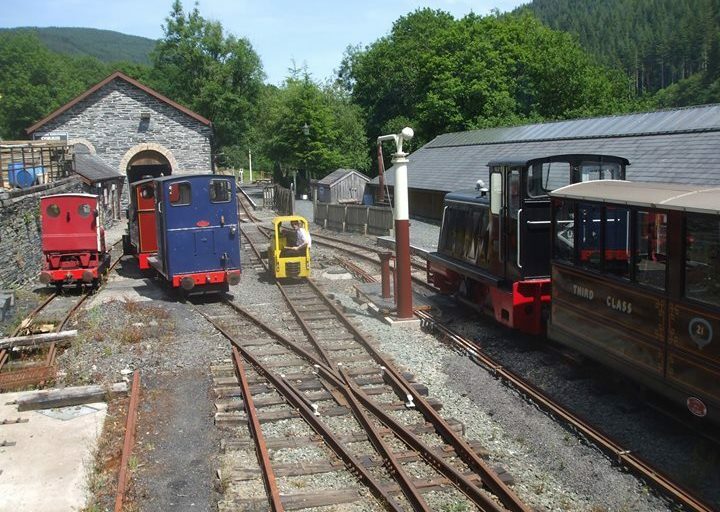 The 2019 Corris operating season begins at Easter. As the Corris Railway looks to increase its rate of monthly fund-raising for the new build “Falcon” 0-4-2ST Number 10, and with volunteers looking to begin construction of the cab for the locomotive, some parts of its predecessor Number 3 have gone on display at Maespoeth Junction. These are sections of the cab which was removed during the overhaul of Number 3 in 1967 and were apparently buried at Tywyn Pendre. When the earth bank which held the remains was removed the rusted metalwork was exhumed and passed to the Corris for safe keeping. As is well known the cab which was removed half a century ago was short of headroom and the new cab for Number 10 will also allow for the taller stature of footplate crews in the 21st century compared to their 19th century predecessors. However, the remains of the earlier structure will guide the appearance of the cab for Number 10. Although volunteers will produce the cab for the new “Falcon” the main work is being carried out at the workshops of Alan Keef Ltd. In order to keep the construction going along continuously the Corris is looking for 200 people to subscribe £10 or £20 a month for a period of 30 months. Those who subscribe £20 will receive a limited edition Jonathan Clay Print on completion of their payments and all subscribers will be invited to Number 10’s first day in traffic in the Dulas Valley although with only 76 seats available in the Corris coaching stock not everyone will be able to travel on the very first train behind the engine. 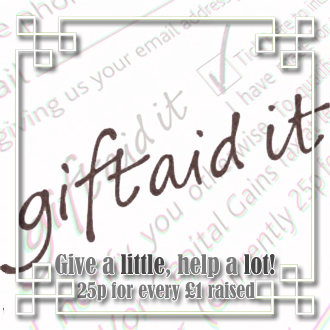 Standing Order forms (with a Gift Aid declaration if subscribers wish to use this) can be obtained from Peter Guest, 38 Underwood Close, Callow Hill, Redditch, B97 5YS. (s.a.e. appreciated). One off donations towards the work on the motion for Number 10 can be made via the website www.corris.co.uk. The Corris is calling this initiative “Helping the Falcon to Fly”. Number 10’s construction is also being helped along by another component from its predecessor as Number 3’s former saddle tank – which was lined with fibreglass in the 1960’s — is in use as a collecting box at Maespoeth Junction with the Corris believing that it may be the largest such box in Wales. A pony truck is also amongst the displays in the Museum at Corris station which is currently being refurbished. 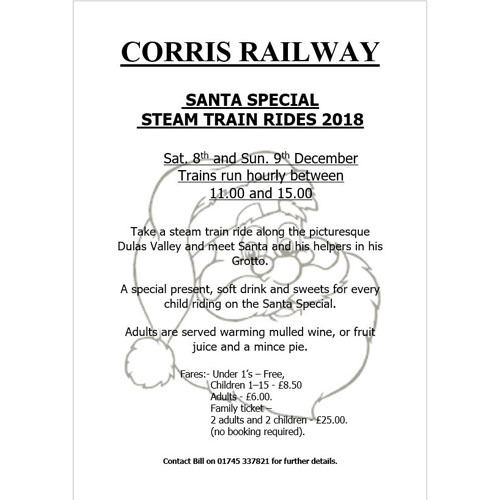 The Corris Railway will be running its annual Santa Special Steam Trains on December 8th and 9th and as usual the volunteers will be travelling from near and far to dress up and make the families welcome as they enjoy a steam train ride to meet Santa in his grotto. The trains will leave Corris station (which can be found in the village by turning off the A487 Machynlleth- Dolgellau road at the Braich Goch Inn) at 11.00, 12.00, 13.00, 14.00 and 15.00. Steam locomotive Number 7 and its train will take the passengers to meet Santa who will be greeting them at Maespoeth Junction and will, of course, have a present ready for all the children. There will also be some seasonal refreshments available for children and adults alike. The trains are not pre-bookable, passengers simply turn-up and pay on the day of travel. Tickets cost £8.50 for children aged 1 to 15, £6 for adults and seniors and £25 for families (2 adults/seniors plus 2 children). 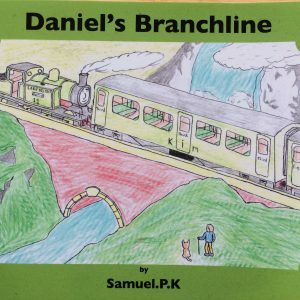 The Santa Train days will have an additional attraction this year with a signing by author Sam Knappett of his childrens’ books “Daniel’s Branchline”, “Mainline Engines” and a new title “Four Friendly Engines”. This will take place in the Museum building at Corris station. Organiser Bill Newton commented :- “The two days of Santa Train operations make for an enjoyable end to the operations for the year and we look forward to welcoming back passengers from previous years, including those who travelled on the snowy days in 2017, and new faces enjoying their first Santa trips on the Corris. 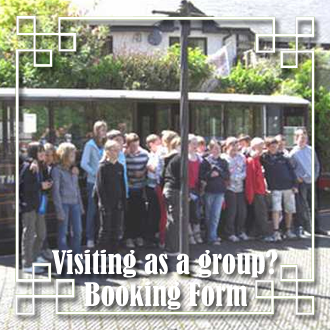 During 2019 the Corris Railway will be offering a “Your Railway For The Day” experience, which can be taken up, subject to volunteer availability, on days without timetabled operations in April, May, June and September. The day will include opportunities to sample all aspects of the Railway’s work including working on the footplates of the Corris’ locomotive fleet (one battery electric, an internal combustion trio and an 0-4-2ST steam locomotive), joining the guard in his or her duties, controlling the yard at Maespoeth Junction from the signalbox and enjoying a ride in a gravity train down the Dulas Valley between Corris Station and Maespoeth Junction. Participants will also see behind the scenes in the workshops of both the original locomotive shed and the modern carriage shed at Maespoeth Junction and will have the opportunity to walk down the planned route of the southern extension of the running line. The emphasis of the day, which will run from 10.00 to 17.00, can be adapted to match the interests of those attending. Drinks will be supplied but not food – however sandwiches etc. 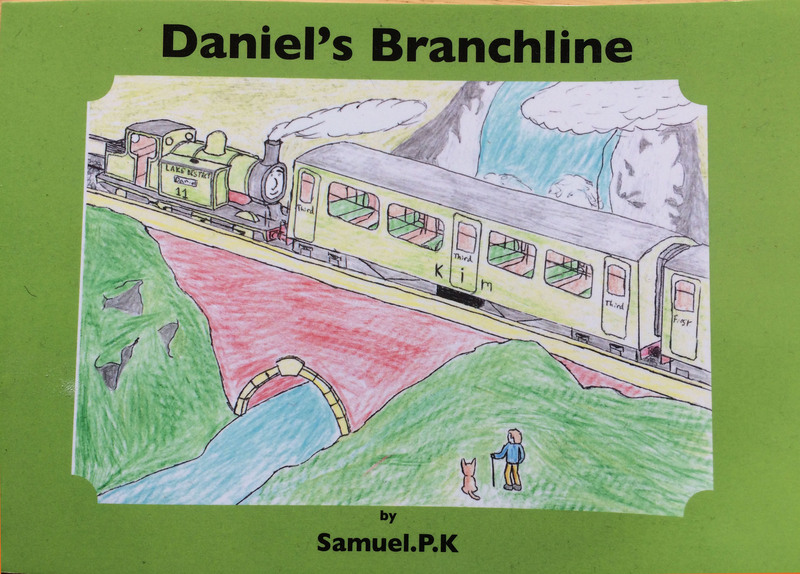 can be purchased in the Corris village café which is 100 yards from the station. Participants will also become members of the Corris Railway Society for the year. Cost will be £450 and the maximum number attending the day will be six (so participants pay £90 each for the half dozen through to £450 for anyone who wishes to have the line to him or herself for the day). 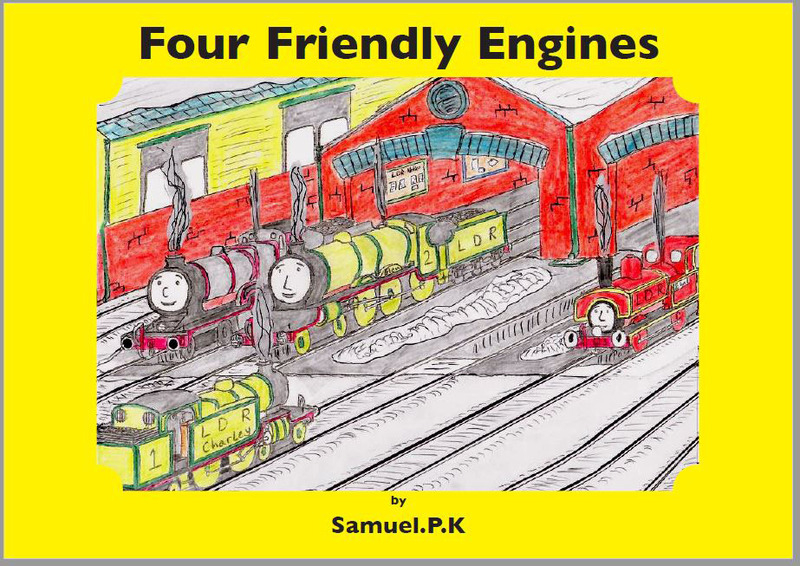 This can be reduced to £360 if participants do not wish to include the steam engine. A non-refundable deposit of £100 will be needed at the time of booking and the balance will be due ten days before the experience day. 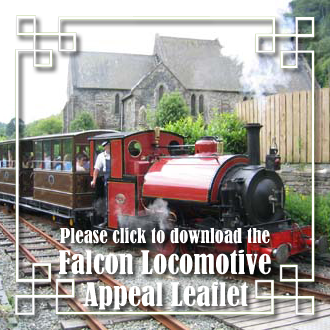 Some of the money raised will be contributing towards the construction costs of the next steam locomotive, number 10, which is a 21st Century recreation of the original Corris Railway “Falcon” 0-4-2 saddle tank engines. With the ending of the main operating season on the Corris Railway for 2018, apart from the two days of Santa Train operation on December 8th and 9th, progress is being made with improvements to the railway’s museum at Corris station. This follows the work carried out last winter to repair the roof and the subsequent replacement of windows in the building which was formerly the hay loft, road coach house and parcels office. New display cases have been ordered and attention is being paid to improving the presentation of the rolling stock and artefacts in the Museum. The Museum’s new curator is Ioan Rhys Lord, one of the more youthful members of the Corris Railway Society. The Society is mindful of the need to involve younger people in its work and activities and to this end has extended the upper age range for Young Persons Membership to 25 in consideration of the number of those who are in full time education or earning lower wages. The rate will be £17 per annum. 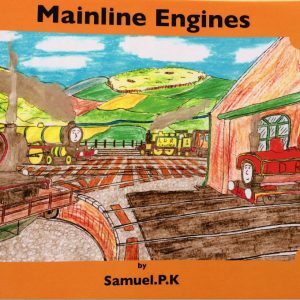 The Santa Trains will have an additional attraction this year with a signing by Sam Knappett of his childrens’ books “Daniel’s Branchline”, “Mainline Engines” and a new title “Four Friendly Engines”. The steam hauled trains will leave Corris station at hourly intervals between 11.00 a.m. and 3.00 p.m. to take passengers to meet Santa and his helpers who will be ready with presents for the children and seasonal refreshments for the adults in the carriage shed at Maespoeth Junction. Travel on the trains with the visit to Santa is on a pay on the day basis and the Corris is hoping that there will be no repeat of last year when weather related travel problems left some 400 mince pies stranded in Rhyl rather than being ready and waiting at the Railway. Although Corris Railway train services, except for October 20th and the Santa Special Trains on December 8th and 9th, have finished for this year the volunteer workforce will continue to progress various projects that make for the revival of the oldest narrow gauge railway in Mid Wales (2019 will mark the 160th anniversary of the line’s origin as the Corris, Machynlleth and River Dovey Tramroad). One area of the work is the construction of the 21st century recreations of the line’s 19th century carriages and the next of the regular work parties will take place on November 24th and 25th in the carriage shed at Maespoeth Junction. New recruits to the volunteer team would be welcome and although those with wood and metal working skills would contribute to the rate of progress there is also plenty of less skilled work that needs to be done. Anyone interested should contact Andy Cooper (andyc@corris.co.uk or 07976 059293). Away from Maespoeth Junction some of the carriage building team create components in their home workshops which are then fitted during the working parties. After that comes finishing work. The carriages, three of which are already in traffic, recreate the appearance of the originals externally but differ in having a metal rather than a wooden framing construction to meet modern safety requirements. Two of the originals still exist. One can be seen in the Museum (number 7, GWR 6217) at Corris when trains are running and the other (number 8 GWR 4992) is part of the working fleet at the Talyllyn Railway where it is currently being overhauled. The modern Corris passenger stock takes up its numbering from where the old Corris left off and the two vehicles currently under construction are numbers 23 and 24. As well as carriage construction the Corris is recreating some of the original waggons that ran on the line. These can see use in works trains as required but are also attractive for charter trains operated for photographic groups. Away from Corris and Maespoeth the Corris Railway Society membership numbering has reached the 2000th mark since it was formed in 1966, although the actual current membership stands around the 500 mark. 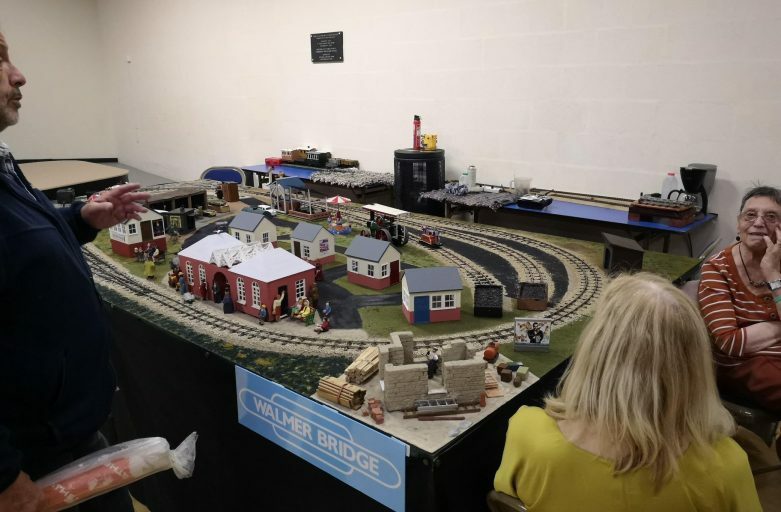 The Corris Railway Society held its Annual Model Railway Exhibition at Y Plas in Machynlleth over the August Bank Holiday weekend and was pleased to see a 33% increase in visitor numbers over the 2017 figure. The 520 members of the public who came to the exhibition meant that this was the largest attendance since 2014 (when it was a three day event). Encouragingly, in light of concerns that the age demographic of railway modellers is high and getting higher, 129 of the visitors were children. 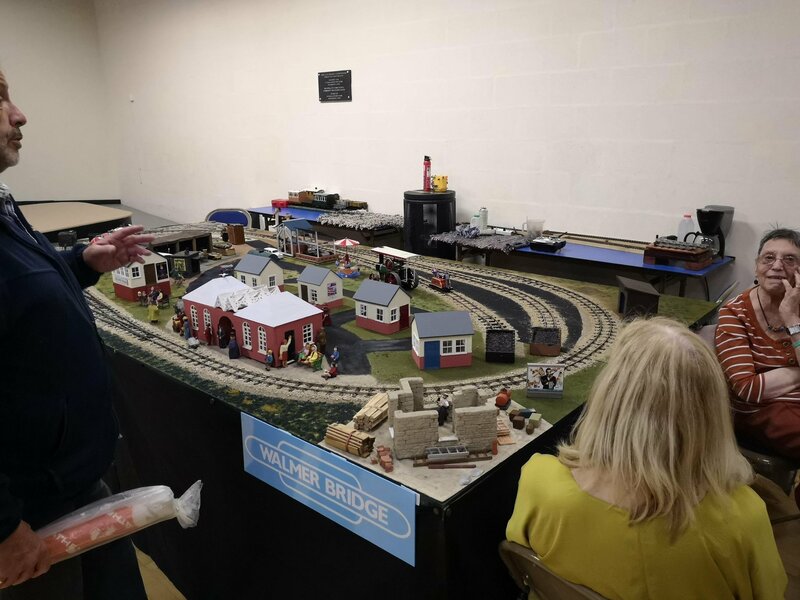 This may reflect the fact that the Corris event usually features one or two layouts aimed at appealing to younger visitors and sometimes give them an opportunity “to drive the trains”. Another established and popular feature is the stand selling hand crafted ornaments and jewellery made from recycled glass. The train services from Corris were also busy over the Bank Holiday period, making it a very satisfactory weekend for the Railway. The Corris Railway is auctioning a seat to travel on the first train to be headed by its next steam locomotive when it eventually leaves Corris station for a journey along the Dulas Valley in Mid Wales. The winning bid will also receive an invitation to the rest of the celebrations on the day and an opportunity to join Corris Railway Society visitors to the annual open days at Alan Keef’s workshops where the engine is under construction in Herefordshire. Sealed bids should be made by Monday October 22nd. On that date the person offering the highest bid will be notified of their success and the other bidders informed with thanks. A minimum bid of £50 is required. 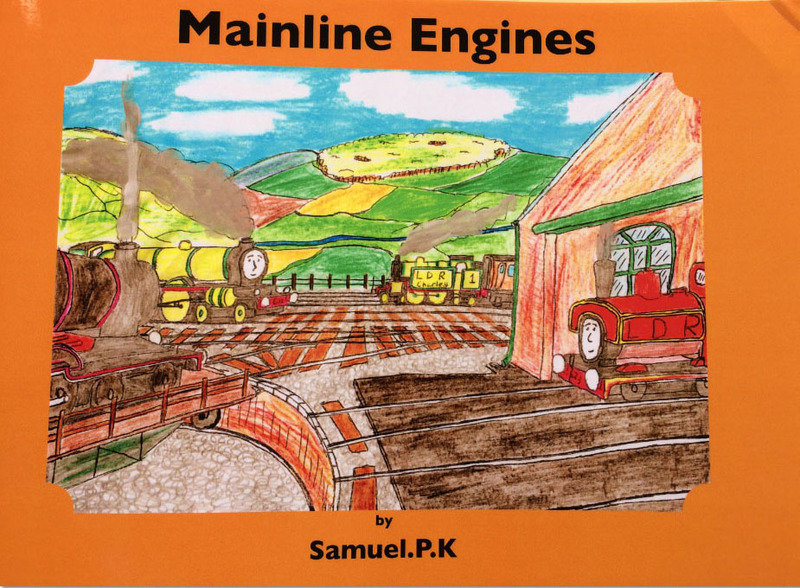 Bids should be sent to Corris Railway, 42 Bluebell Close, Taunton, Somerset, TA1 3XQ. The second and third highest bidders will be invited to the first day of number 10’s entering service but may not be guaranteed seats on the first train. Names of bidders will not be publicised unless the bidder requests otherwise. 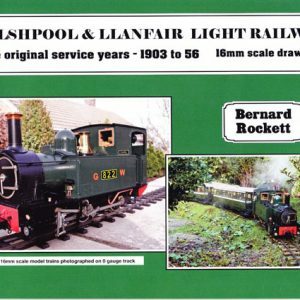 The auction is part of the fund-raising for steam locomotive number 10, a 21st century recreation of the original locomotives on the line which were delivered from the Falcon Works factory of Henry Hughes Locomotive and Tramway Works in Loughborough in November 1878. 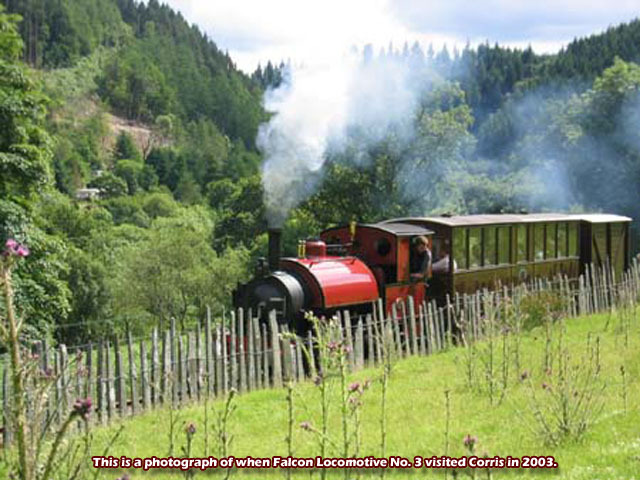 The present day Corris already has one steam locomotive at work. This is number 7, a recreation of a Kerr Stuart “Tattoo” class locomotive which arrived on the original line in 1921. The Corris Railway Society is targeting having number 10 running alongside number 7 by 2021 if not before but progress is dependent upon the rate of fund-raising. Currently number 10 is approaching the rolling chassis stage with cylinders cast and at the works ready to be fitted and the boiler and other components have been manufactured and are ready to fit once connecting rods, valves and motion parts are manufactured and in place.